Just wanted to say...awesome blog! I hope you are planning on posting throughout the year. Our family decided to start a new tradition this year. We exchanged names (only 4 of us) to buy an ugly Christmas sweater to be given next year on Christmas eve. We were hoping to be able to scoop up some clearanced gems, but if not, we've got a whole year to shop. 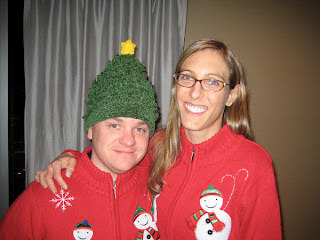 Then we have to wear them on Christmas day to be seen in all of our Christmas photos. I can't wait until next Christmas!